My last article – Premier League Draws – got quite some hits by this blog’s standard – mostly because it got the interest of David Sumpter, the author of the book Soccermatics: Mathematical Adventures in the Beautiful Game I was commenting on in the article. Mr Sumpter’s retweet brought with it a hit count I am not used to seeing at my Google Analytics page. What’s more, it made me realize that there is a large crowd out there with interest in Value Betting strategies, which got me thinking. As I’ve mentioned before I put a moderate part of my bank into Value Betting strategies and have genuine interest in them since I find they are the next natural step for anyone having mastered Sports Betting Arbitrage. Arbing is a relatively sure way to grow your bank but the opportunities it provides are limited. Not the case with Value Betting, where the potential profits are huge, but attaining them is within the reach of only a selected few. For me it was (and still is) a huge jump to make – switching from winning sure small amounts to the hostile Value Betting world where 99% of the players are losers. Why would I be a part of the 1% and not of the 99%? I didn’t see a reason good enough to ignore just how unfavourable to me the base rate was – so I was always taking it easy with Value Betting. Nevertheless, my interest in it was steadily increasing and I see I am not alone. Therefore I do expect a larger share of my future articles to be dedicated to Value Betting and Value Betting strategies and this article will not be an exception. By the way, I am following the draw betting strategy described my last article and I will probably report on its results later this season, so stay tuned. Speaking of Value Betting, today I would like to shortly review a service that allows you to build your own Value Betting strategies – BetSuite Pro. I have received a free access to the platform for two months in order to write a review. I have no affiliate deal with Betpractice, the owner of BetSuite Pro, for selling any of their products. 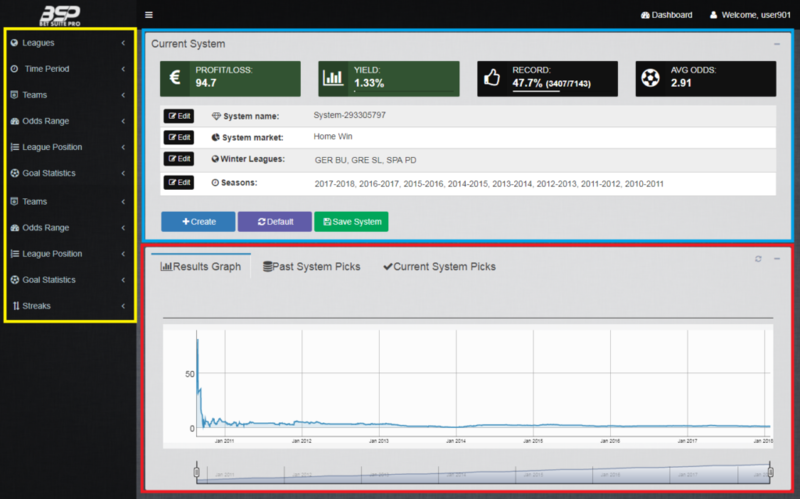 BetSuite Pro: A tool for creating and following Value Betting systems/strategies and also the one I will be reviewing. BetSuite Pro is a paid tool for building betting strategies. It allows you to build your own strategy or have a look at one of the shared ones. Why would anyone share a profitable strategy for free is beyond me so I wouldn’t look at these but they are out there so it’s up to you. How does it work? There are a number of filters you can apply to your strategy and the tool does the back-testing for you automatically. The filter-menu is highlighted in yellow. The summary statistics and the chosen filters of your strategy are highlighted in blue. Finally, in the results graph in the red section you can see how your strategy performed in time. Furthermore, in the same red section you get notified of the currently available selections which fit your criteria. System market (Home win, Draw, Away win, Over 2.5, Under 2.5): This is where you start. These are the 5 base strategies you could test and you can apply the rest of the filters later on. Leagues: There are a total of 31 leagues available and I am not going to list them all. All the main ones are in plus a few more exotic ones. Time Period (Season, Game Number, Month of the Year, Day of the Week): You can choose the time period you wish to test the strategy for. This is of course a must have for every strategy as games further back in time should be less relevant for you. Filtering by Game Number might make some sense as, for example, we know that games late in the season tend to be higher scoring ones. I don’t see much use of the filters Month of the Year and Day of the Week though. It might be that home teams win more often on Mondays than on Tuesdays, but I would think twice before betting any real money on that information. Teams: You can weed out teams that you think don’t fit your strategy. I find this a nice option, but you have to be careful and only exclude teams based on some rationale and not on their negative returns alone. If there is no underlying logic why backing this specific team was delivering such poor results, the negative returns are most likely a result of random variation and not of some trend. Goal Statistics (Home Team & Away Team; Avg. Goals at Home/Away & Avg. Goals Overall; Scored, Conceded, Total; Difference to the League Avg. ): Surely a must-have is being able to filter for high/low scoring teams. The filter Goal Statistics provides you just that, with a number of sub-filters to choose from. I like the variety of filters, but I see something missing – namely, the expected goals for the game you bet on. Theoretically, these could be somehow extracted from an over/under market, or even 1 to 1 from a spread betting market. I wouldn’t care that Man City have been scoring an average of 5 goals during their first 5 games of the season if they played against the 5 weakest teams in the League and the next game they are facing Man Utd at Old Trafford. I’d much rather want to know how many goals the market expects Man City to score in this game in particular. Streaks (Win, Draw, Lose, Win or Draw, Draw or Lose): This one is a really nice filter. It allows you to pick only teams which have achieved certain results in their previous n games. You might want to test whether the market is overreacting to a few bad games or, alternatively, whether it would make sense to back teams based on good current form. As a small show-case, you could pick all leagues and seasons, strong favourites at odds less than 1.4, coming out of a loss, to arrive at a yield of 4.82% from 756 level stake bets. 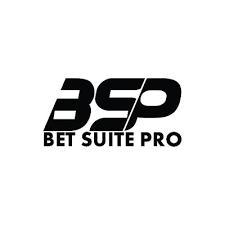 The BetSuite Pro tool is currently available for free for 14 days, which gives you the opportunity to test it and see if it suits your needs without having to pay anything. You are only allowed to test Home Win strategies during the 14-day trial but that should be enough to get a feeling for the tool. From there on, you can subscribe for the tool for a EUR 40 monthly and for the longer subscription periods you get a certain discount. I find the current prices quite reasonable. I do some data crunching myself for my Value Betting systems and that certainly takes me some time. Saving myself that time by subscribing to such a tool is certainly an idea worth considering. The programming effort is not too heavy for me as I find it enjoyable, however that is not everyone’s cup of tea – so if you find betting fun and coding not so much, the tool might be a good fit for you. BetSuite Pro is a useful tool for building Value Betting strategies. The biggest advantage for me is the speed with which you get insights from the data. I crunch the data provided by football-data.co.uk and can get the results provided by the tool on my own. However, doing that would take me significantly more time than with BetSuite Pro. 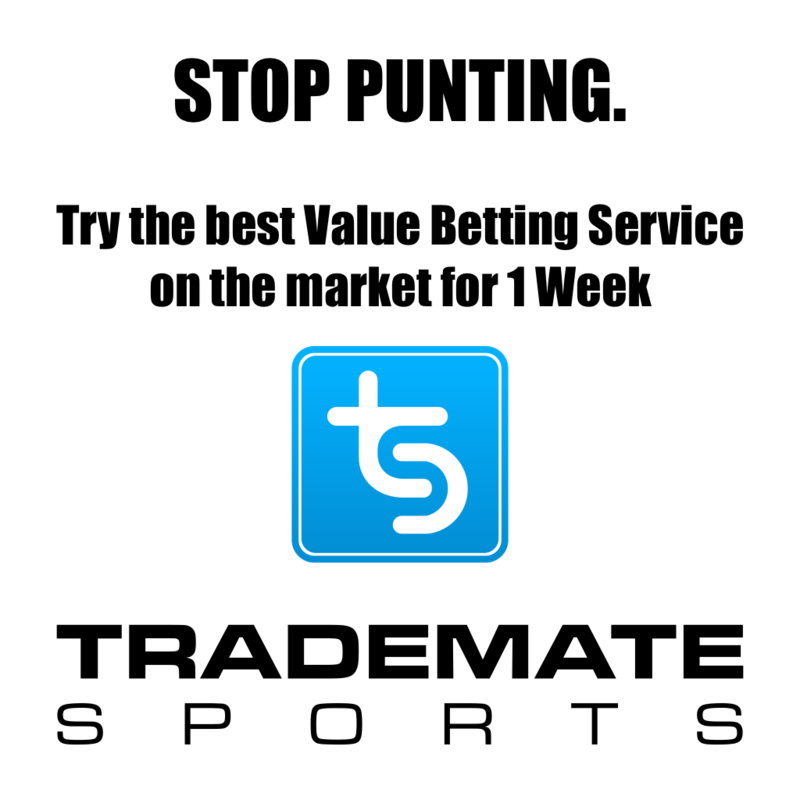 And since time is valuable, even for someone with basic programing knowledge like me the subscription to the tool might be a wise decision. On top of that, the fact that the tool highlights all the outstanding markets that fit your criteria is another nice time-saving feature. I do see some potential for improvement as in my opinion some of the filters that are currently missing would be more useful than some of the ones currently available. Furthermore, it would be good to provide some transparency regarding the data upon which the tool is based. My guess would be the data mirrors the one found in football-data.co.uk (which itself is sourced from BetBrain), but I might be wrong about that. The source of data and the frequency of updates would surely be of interest for anyone intending to put real money on the insights provided by the tool. Currently the tool only uses football data, so adding a few additional sports would further improve the tool’s reach and give a reason for a more premium pricing. 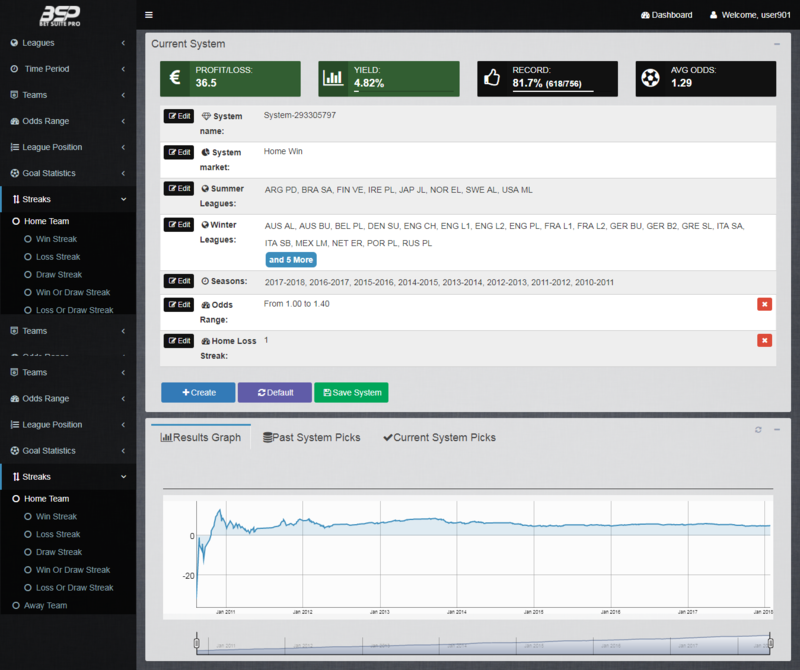 That aside, to say it again, I do think that BetSuite Pro is a useful tool provided for a reasonable price. If you feel it can suit your needs just try it out for free and see if you like it. Should you have any questions about aspects of the tool not covered in the article, just let me know and I will try to answer them or forward your question to the Betpractice team. 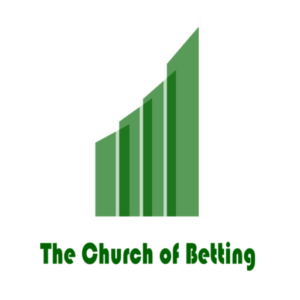 If there are other betting products that you would like to see reviewed by me just drop me an e-mail at admin@churchofbetting.com and I will see what I can do. Thanks for reading and till the next time! Any update about this product? I have used it for 2 weeks and I am not so happy, even my strategy show a 53.78% Yield from last 4 seasons and over 1800 games in the last 2 weeks I have only 7.4% in 31 games. Ofc the sample is small but still. There is not much new I can say about this product that has not been said in the article. Keep in mind the tool does not promise you anything more than giving you the historical record of your chosen strategy. Whether the yield you have discovered will continue into the future is up to you to judge. In any case a yield of 7.4% is pretty impressive. If you manage to keep it for a larger sample I would say you have no reason to be unhappy.